Walkera Vitus is their first smart portable drone design offering a 4K / 12megapixel camera mounted on a 3-axis gimbal that delivers beatiful footage. 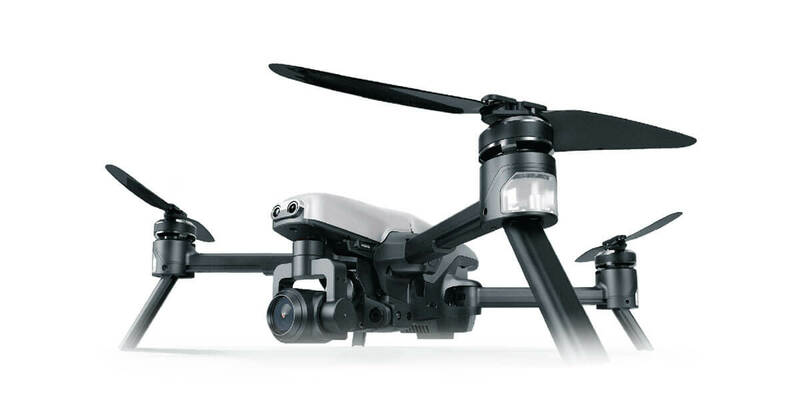 Walkera are well known for creating excellent budget drones based on popular models like its X350 series based on the DJI Phantom. The Vitus is clearly modelled on the Mavic Pro and with good reason, there is a huge market of people that want those specs and form factor but cannot justify the cost. The Walkera Vitus solves that by offering 3 direction obstacle avoidance, visual positioning and auto tracking features at a more more affordable price tag. They don’t only look to copy the DJI Mavic Pro, they look to better it by offering 25% more battery life than even the Mavic Pro Platinum. Its avoidance sensors will slow the drone down or even stop to hover to avoid any collisions. Vitus also offers downward facing infrared sensors optical flow to keep steady flight indoor where gps and Glonass signals are not available. As well as offering 4K shooting it has a 1080p HD setting with 60fps for slow motion filming. FPV flying is available through the Walkera app and viewed on a smart device that you can attach to the folding remote control. To take it to the next level Walkera have also introduced AR gaming in to the Vitus allowing you to play during flight. Combine this with the Walkera Goggles (sold separately) and you have an incredibly fun and immersive experience at your fingertips. There are many DJI Mavic clones starting to surface after its phenomenal success. With Walkera you can rest easy that this not their only product and they have previous experience.